Real estate agent Daniel Lowe said his listing for a $1.1 million home in Beverly Glen sat on the market for more than a year, without much activity the last several months. That changed as soon as mortgage interest rates started to rise. He said the property received a flood of interest without a price reduction or any additional marketing efforts. The seller fielded multiple offers before the home went into escrow the first week of this month. Prospective buyers told him they feared mortgage interest rates rising further, continuing along a trajectory that began in November. “We know our purchasing power is going to dwindle in the next few months. We want to get in there and purchase now,” Lowe offered as a summation of home hunters’ sentiments. Mortgage interest rates rose in November and December, before dipping in the new year. The 30-year fixed-rate mortgage rate ended the second week of January at 4.12 percent. That’s down from 4.32 percent at the end of last month, but up from 3.47 percent at the end of October, according to Freddie Mac. A year ago at this time, rates were at 3.92 percent before backing off to an average of about 3.5 percent for the rest of 2016. At the current interest rate on a 30-year fixed-rate mortgage, buyers who put down 20 percent of the purchase price on a $555,000 home, the median price in Los Angeles County in November, would pay $164 more a month than they would have at the end of October. The push to lock in lower rates has driven a surge in transactions across the market in recent weeks, according to real estate brokers. Rates could continue to go up if the economy strengthens and in reaction to potentially inflationary results of President-elect Donald Trump’s promise to cut taxes and increase government spending on infrastructure. “They’re raising rates on loans because they expect that when borrowers repay they will repay with less valuable currency because of inflation,” said Rodney Ramcharan, research director at USC’s Lusk Center for Real Estate. Despite the increase, mortgage interest rates remain near historic lows. A decade ago, they stood at 6 percent and were at 10 percent in 1990. “I would rather buy or refinance now if I hadn’t done it before,” Ramcharan said. 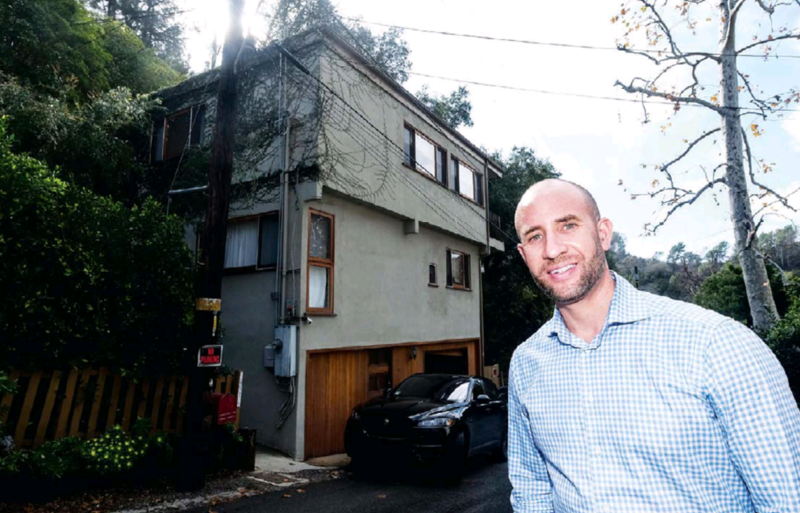 Homebuyers’ growing urgency prompted a client of Redfin real estate agent Lindsay Katz to compromise on finding his perfect place. They won a bidding war on a home in South Pasadena in a deal that closed at the end of last month. Nourmand & Associates agent Katie Crain said rising rates have put pressure on clients of hers who are looking at residential properties as an investment. “For investment properties, people tend to have an exact figure of how much they would like to profit per month or per year. So that several hundred can make or break whether someone wants to move forward with that investment,” Crain said. That sentiment is good short-term news for sellers. “Once you start that momentum of having a low inventory but increased demand, it starts pushing the property values up,” said Gibson International agent William Durfee, who has seen offers coming in quicker on properties he’s listed. Despite the push, buyer behavior could change as interest rates move into the 5 percent to 6 percent range. A survey last month from Redfin found nearly a quarter of respondents saying rates rising above 4 percent would increase their urgency to buy. But another quarter said they would slow down their search and see if rates come back down again. Nearly a quarter said they would start searching at lower price points. “As the interest rate goes up and more people can’t qualify for a higher price, you shrink the number of people who can buy and that will force property values to come down,” Durfee said.